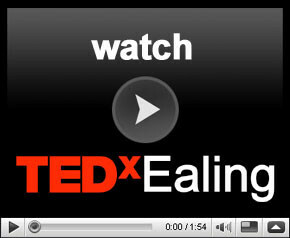 TEDxEaling is only possible because of the generous support of our sponsors and partners. TEDxEaling thanks the lovely people at Starbucks in Ealing for supplying coffee and cookies to our delegates, speakers and hard working crew. TEDxEaling thanks the lovely people at Oxfam for helping is with a gazzilion books for our super TEDx stage! TEDxEaling thanks the splendid folks at Peppersmith for supplying our staff and delegates with yummy breath freshening mints for that all important networking.